In the summer months, the terrace and outdoor areas become those favourite places in which to share moments. They are the perfect places for family get-togethers, meals and barbecues with friends, and even for those peace and quiet moments on our own, on the sofa or various sittings with a book. These are areas with limited enjoyment time because with the arrival of autumn and winter, they simply stop being used. One of the trends in 2017 architecture and interior design has come along precisely to solve this problem. 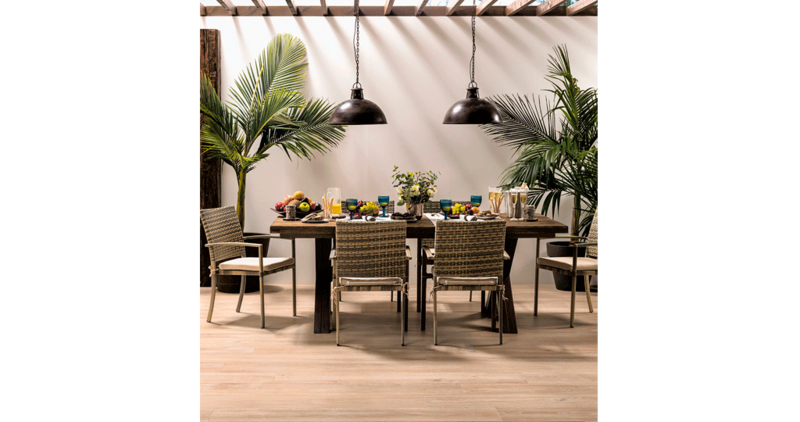 The outdoor mood is imposed indoors more and more, in other words, the introduction of outdoor spaces inside the home. To achieve the INSIDE outdoor decoration, the first thing we must be sure about is that the space, in this case the indoors, should be designed as if it were an outdoor space. You must breathe the essence of the open air, with a high-level of spaciousness and natural origin. 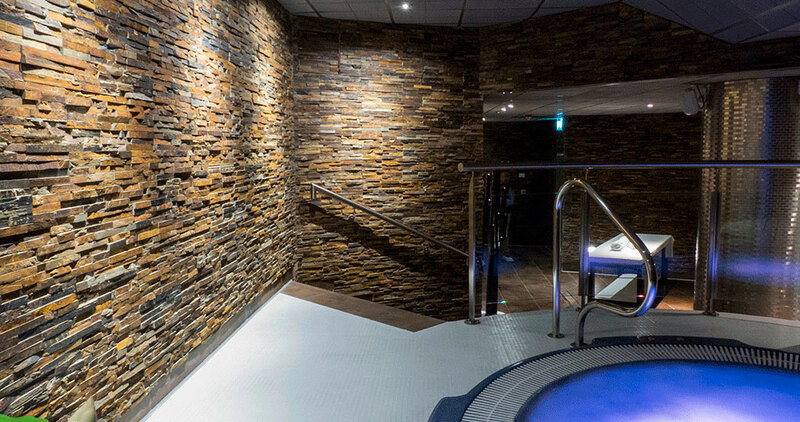 Natural materials such as natural wood or natural stone, as well as a high-level of vegetation come into play. From the plants, pots or terrariums to even a vertical garden at home; any vegetable alternative is good in order to oxygenate the space and give a fresh outdoor feeling. 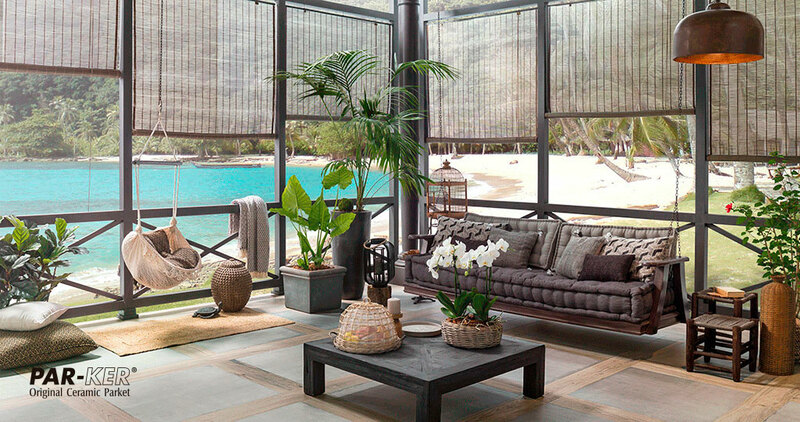 Another INSIDE outdoor basic decoration element is natural light. As it is a covered space which gets decorated, it is crucial to have the outdoor light coming through large windows, glazed doors and glass enclosures, which, although they do not obstruct the light, they insulate both thermally and acoustically. It is also an extremely versatile option, since, regarding doors and glass enclosures, they can be opened and closed indistinctly, and their use can be enjoyed in winter, whereas in summer, they are not used. Beyond these basic elements that allow us to chase after this trend in interior design in 2017, we stop to take a look at the ideal materials that are used in these spaces. 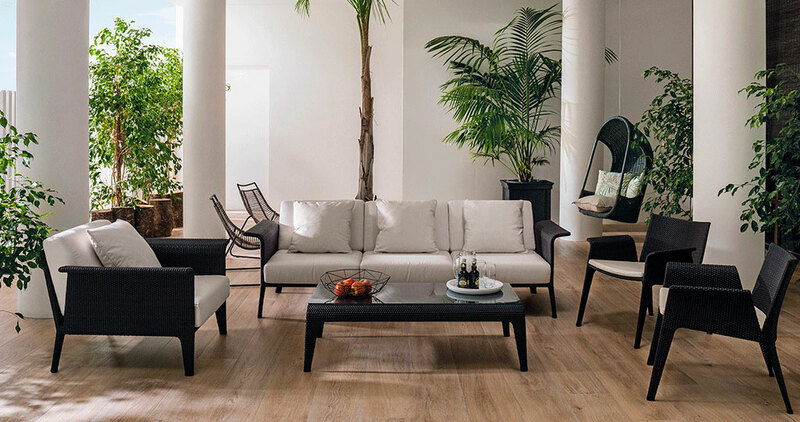 The PORCELANOSA Grupo, through the quality of its designs and multiple models and finishes, turns out to be the ideal firm for the INSIDE outdoor decoration. From natural floor tiles and wall tiles to the high quality in ceramic technology that allows for a unique and highly elegant finish to be achieved, along with homogenize spaces and enhanced openness. Although it looks like an outdoor space, the room that is going to be decorated is actually inside. For this reason, the technical requirements demanded by the outdoors are not necessary, especially with regard to the materials’ durability and strength, as well as the inalterability of adverse climatology. In relation to the possibility of floor tile installation and wooden wall tiles, the PORCELANOSA Grupo recommends opting for its high-quality Par-Ker ceramic parquet for these spaces, with the originality and finish offered by natural wood and high-quality ceramic. Manhattan, Chelsea, Heritage, Viena and Bolonia, the last three from the Atelier series; they are porcelain tile designs which are suitable for decorating an outdoor space inside, giving the warmth and authenticity of its design and the guarantee of easy cleaning and maintenance. Soho and Torino, also by Porcelanosa, appeal to the combination of materials, a symbiosis of wood and ceramic stone, capable of giving character and uniqueness to the interior design. Another possibility that the PORCELANOSA Grupo puts forward as a trend for 2017 in ceramic wood for architecture is the Starwood collection. A material that is inspired by natural wood and which has a unique and irregular veining. 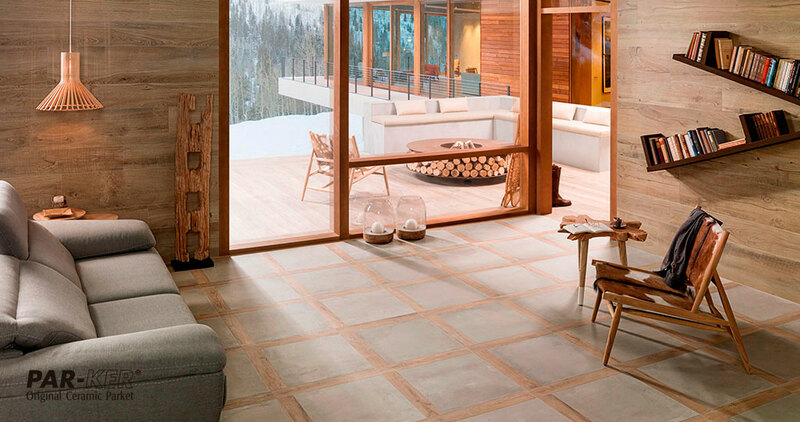 Tanzania Nut, Tanzania Taupe ... the wide range of aesthetic possibilities from Starwood are within reach of any project. 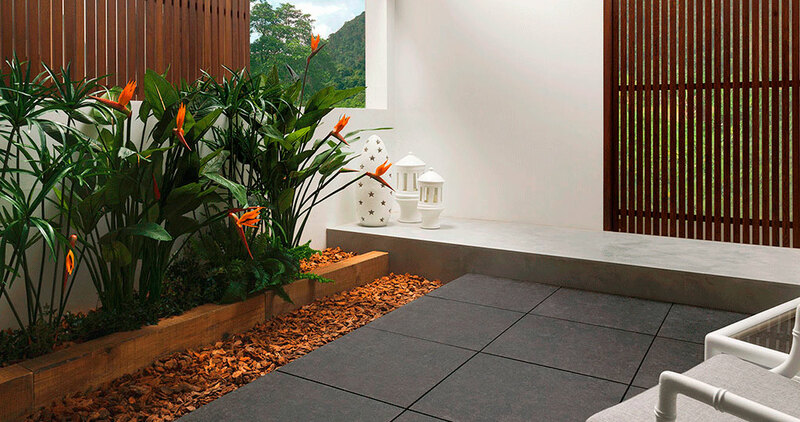 It should be pointed out that one of the advantages of the ceramic materials is that, in some of their versions, they can be installed both indoors and outdoors. Therefore, the possibility of providing an outside space with the continuity of a terrace or indoor room becomes a real option. 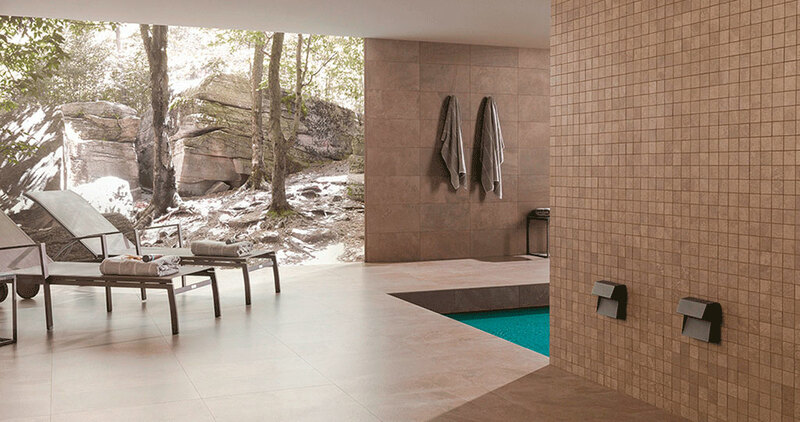 Another option designed by the PORCELANOSA Grupo is using natural stone indoors as if it were outdoors. 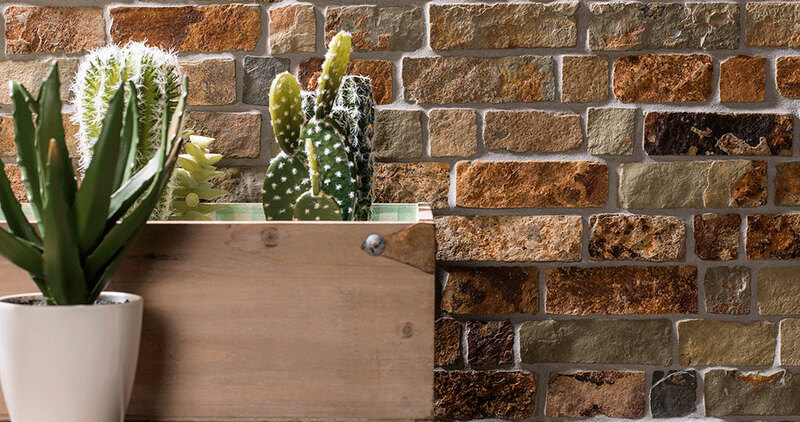 Together with L'Antic Colonial, we discover unique wall tiles such as the Amsterdam collection, made of limestone and available in several formats (40x80 cm; Wall, with 55/40/20X9.7cm; and two different hexagonal models, one is flat and one is with a thickness variation); or the World Random Nepal mosaic that maintains the rustic brick layout. 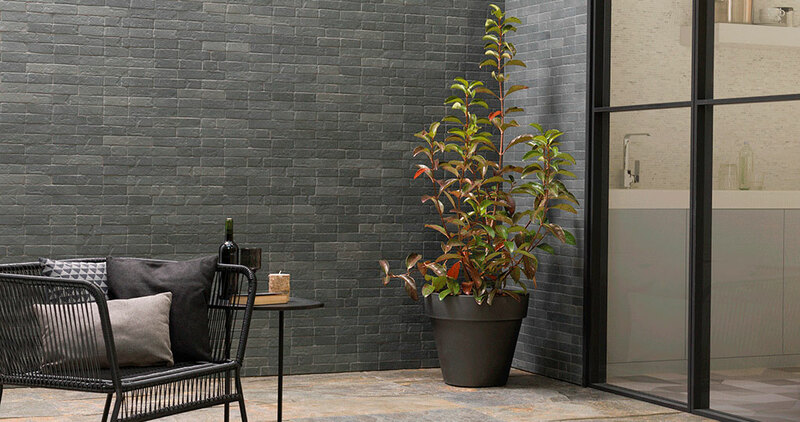 Slate is another of the materials which adds more sophistication and natural authenticity to wall tiles, with great character and a wide shade variation range being available. Having regard for the main key areas and the recommendations in materials for an outdoor look at home, we bear in mind the possible rooms to be located in these spaces. The most common option are the indoor terraces, which allow for the advantages of outdoor terraces to be enjoyed not only in the summer months but all year round. Apart from a terrace, another outdoor area of the house where INSIDE can be enjoyed is the swimming pool. Having a dip from spring to winter in a heated pool, along with the best views is possible. 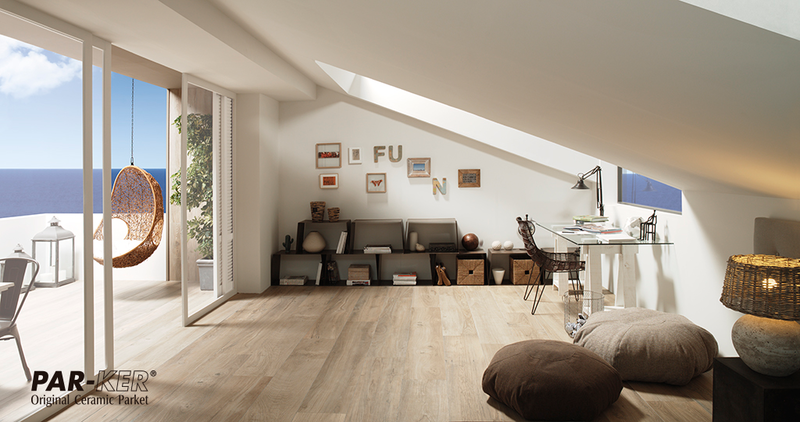 However, in this case, since it is an area with a high concentration of moisture and in direct contact with water, more specific and durable flooring and coatings materials, such as the full through-body porcelain tile by Urbatek must be used. 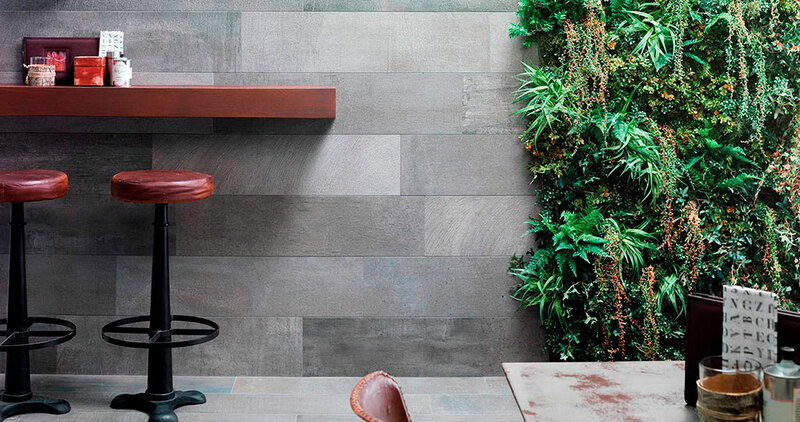 The firm from the PORCELANOSA Grupo proposes, in this sense, collections such as Deep and the 20MM thickness porcelain tiles, both inspired by a stone with great graphic range; Cover Timber, the cementitious essence with ample anti-slip properties; And the STUC large format porcelain tile, a sandstone-like texture that allows for maximum material continuity. In addition, as with other unusual uses, there are the indoor offices with an outside look or the bathrooms with a view. 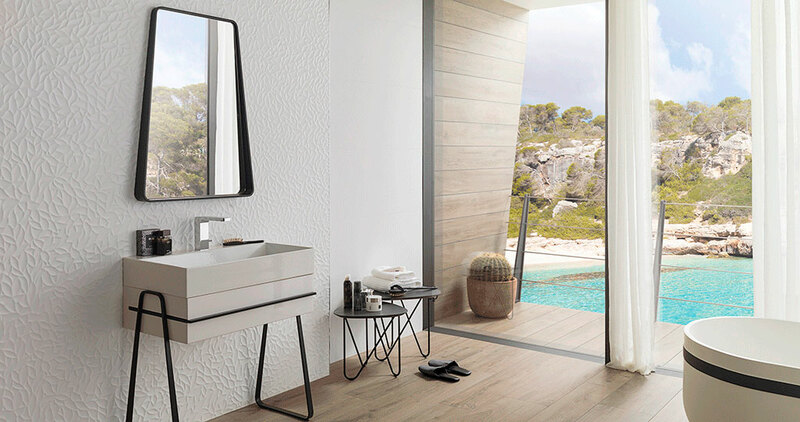 Working under premises for maximum comfort or having an unprecedented bathroom experience in relation to escapism and relaxation is possible when adapting an indoor space to the outdoors. As well as that, this includes plants, vegetation and glass enclosures that conserve the heat, along with making the enjoyment of the best landscapes possible.